1. India’s first Medipark (Medical Park) will be set up in _____. 2. The “Kinnerasani Wildlife Sanctuary" is located in the Indian state of _____. 3. Balpakram National Park is located in which of the following State? 4. Which of the following places in India does not have a nuclear power plant? 5. International Day of Women and Girls in Science observes on which of the following date? 6. Teratali, is the folk dance of which of the following Indian State? 7. Sanyukta Panigrahi is symbol of which Indian Classical dance? 8. Who amongst the following is the author of the book ‘Half a Life’? 9. The first-ever World Sufi Forum (WSF) has been hosted by which city of India? 10. The festival of ‘Onam’ is associated with which of the following legends? 11. Which of the following awards is given for excellence in the field of literature? 12. Which of the following Awards is given to Cine persons for their lifetime achievement? 13. Central Drug Research Institute is located in which of the following cities in India? 15. Which of the following terms is related with the Cricket? 16. Which Of the following cups/trophies is associated with the game of Football? 17. 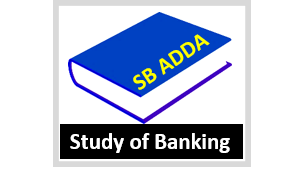 The National Bank for Agriculture and Rural Development (NABARD) was established in the year? 18. The head office of the Unique Identification Authority of India is located in? 19. With which one of the following field was Satyajit Ray associated? 20. India’s first Medipark (Medical Park) will be set up in _____.